By K & S. Birmingham made, 9 carat gold, 2001 date code. Gregory & Quillter (G.Q.) 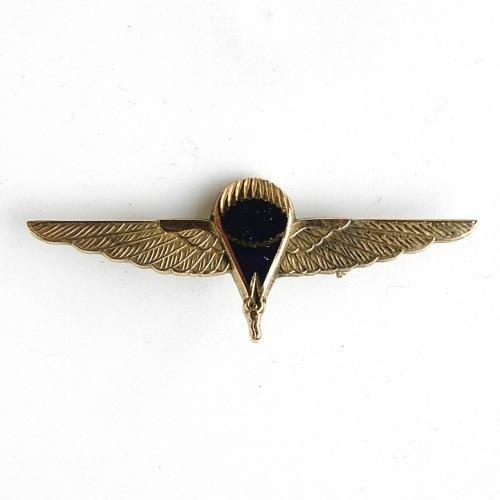 parachute company pin badge awarded for 15 years service. Approximately 36mm x 9mm. Pin backed with rotating safely clasp. Marked to rear 'GQ 15YRS' along with manufacturer's details, hallmarks and date code. Engraved '78' - presumably awarded to an employee having achieved 15 years of continuous service. Stock code UDRFGQ.